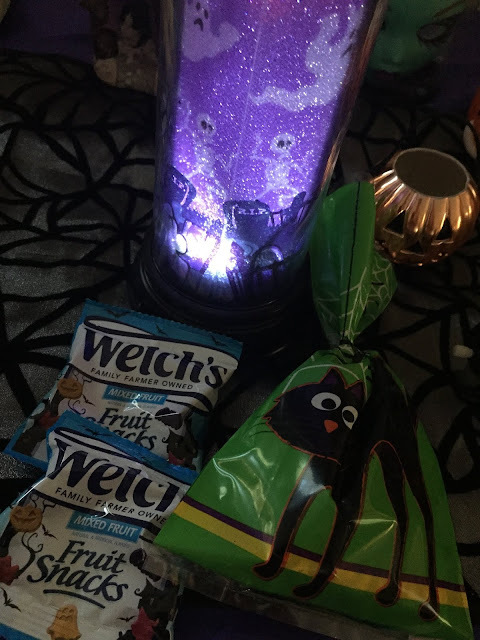 I teach 2-3 year olds and it is always so stressful when I put together their goody bags. This year I decided to do something that comes in most of their lunch boxes; Welch's Fruit Snack! 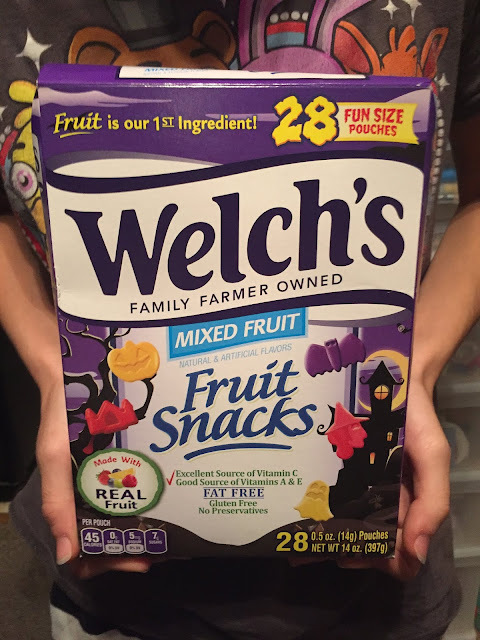 This box of Welch's Fruit Snacks is Halloween-themed and the pouchs have custom graphics with fun shapes including a bat, witch, ghost, haunted castle, and pumpkin – perfect for trick or treating, lunchbox treats or parties. Each bag is different. 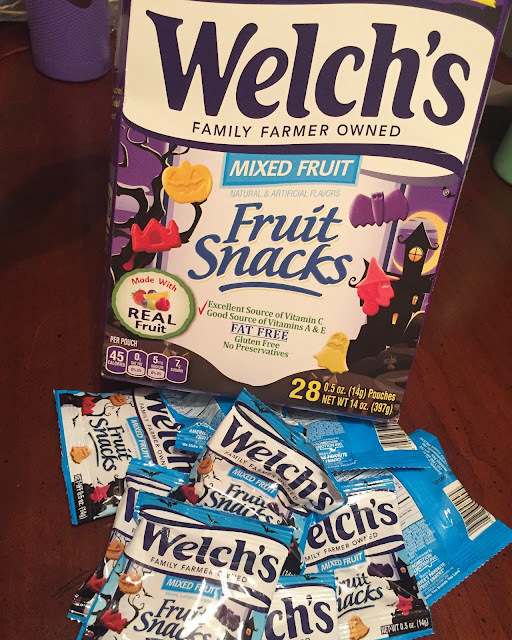 We get excited when we find 2 bats because they are the yummiest!